This is the second installment in a four part series, written by Peter, a Drummers, Ursids, and Gobblers alumni. 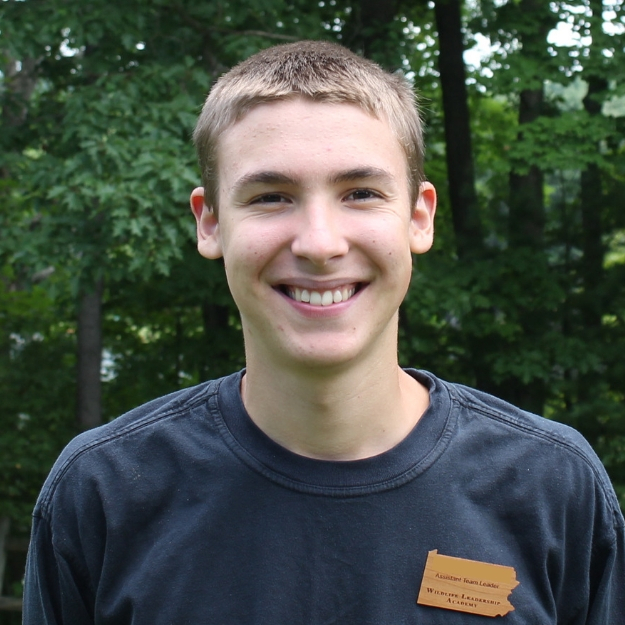 He is writing about four environmental-based projects he designed and worked on as part of his his journey towards applying for the William T. Hornaday Silver Medal Award, through the Boy Scouts. I suddenly wake up to realize that I was only dreaming. It is actually June 19th, and I am sitting at home. I sadly acknowledge that September is still two-and-a-half long months away. And so are the Broad-Winged Hawks. But that still does not dim my passion for hawkwatching. Especially now that I have discovered “The Summit Mountain Hawkwatch”. But before I go any further, I should probably explain to you what I am talking about. Hawkwatching is a citizen-scientist activity where trained volunteers identify and count migrating birds of prey in order to obtain population estimates. Hawkwatchers gather at hawkwatch sites across the nation. 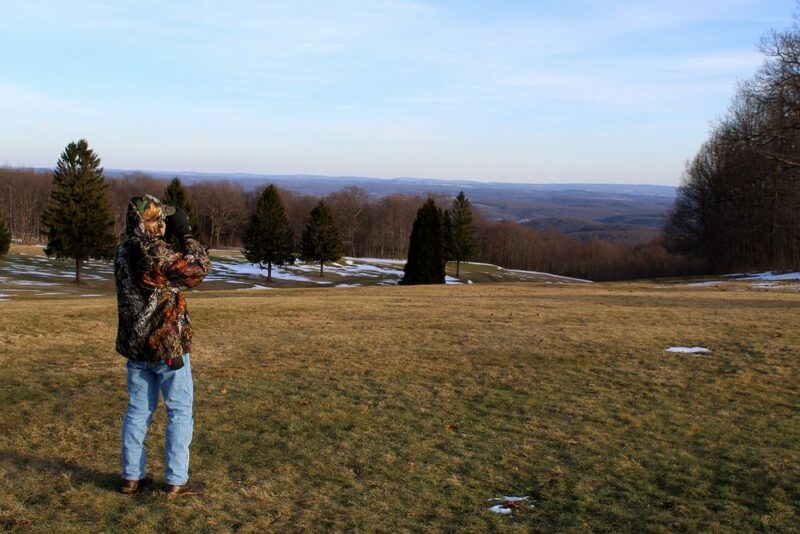 “The Summit Mountain Hawkwatch” is located on the crest of Chestnut Ridge in southwestern Pennsylvania near Uniontown. Chestnut Ridge is an approximately 90-mile long mountain ridge that runs from near Morgantown, WV to Indiana, PA. Chestnut Ridge is unique in the fact that it is the farthest west ridge in the Allegheny Mountains of Pennsylvania. This means that you could travel in a straight line west from Chestnut Ridge, all the way to the foothills of the Rocky Mountains, without crossing a mountain ridge as high as Chestnut Ridge. 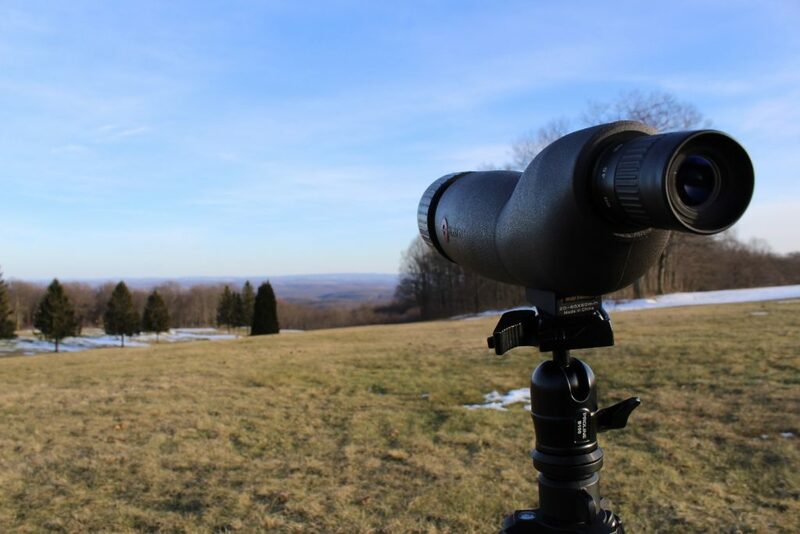 The Summit Mountain Hawkwatch is situated atop Chestnut Ridge, which provides an excellent view of the surrounding terrain. 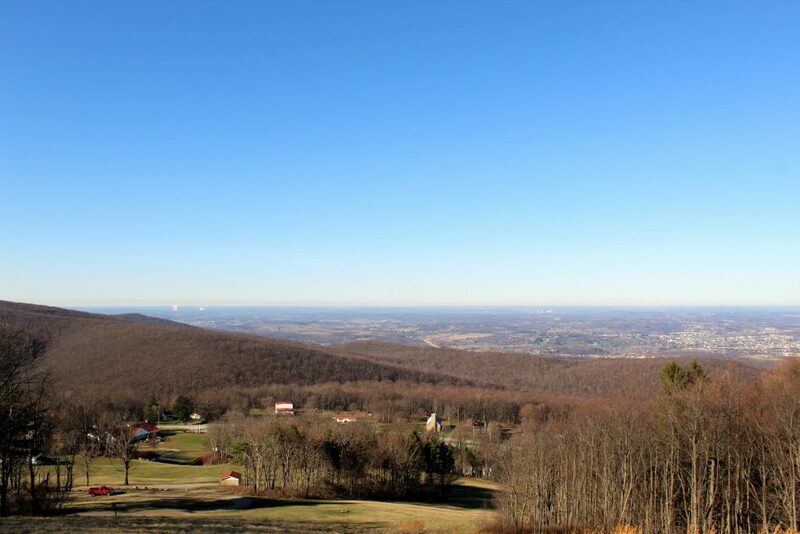 Part of the view from the Jumonville Cross site, where I first hawkwatched on Chestnut Ridge. Broad-Winged Hawks and other birds of prey often utilize mountain ridges, such as Chestnut Ridge, during migration. This is due to a phenomenon known as ridge lift. Ridge lift occurs when the wind strikes the side of a ridge or mountain and the air current is deflected upward. Birds of prey (raptors) can use this updraft to soar effortlessly during migration, thus conserving energy by not having to flap their wings. Because of the numerous mountain ridges throughout Pennsylvania, many raptors migrate through the state. There are quite a few active hawkwatch sites in Pennsylvania, with a hawkwatch site on most of the major mountain ridges. Until this spring, Chestnut Ridge was one exception. This spring, I discovered and established “The Summit Mountain Hawkwatch” as a Boy Scout Project. I am working towards Boy Scouts of America’s highest youth award for conservation work, the William T. Hornaday Silver Medal Award. I completed my hawkwatching project as 1 of 4 projects that the Silver Medal requires. 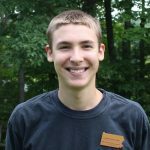 I created an official site for The Summit Mountain Hawkwatch on the Hawk Migration Association of North America’s website, HawkCount.org. A link to the site follows: https://www.hawkcount.org/siteinfo.php?rsite=802. All migrating raptor count data collected at this site, alongside other hawkwatch site’s data, will be used by researchers to assess raptor population trends. Now, all of that probably seemed unrelated to the start of my article. But it is not. It is all part of the science behind hawkwatching, which is my passion. This spring migration season was mostly consumed by my Boy Scout Project, research about raptor migration patterns, geography, and paperwork. But this fall, I can go back to hawkwatching. I have actually taken on hawkwatching at The Summit Mountain Hawkwatch as a Biological Research Investigation college course with California University of Pennsylvania for this coming fall. I received a research grant from the University for equipment and will be receiving both college credit and a research stipend. Me hawkwatching from the Summit Golf Course in March of this spring.